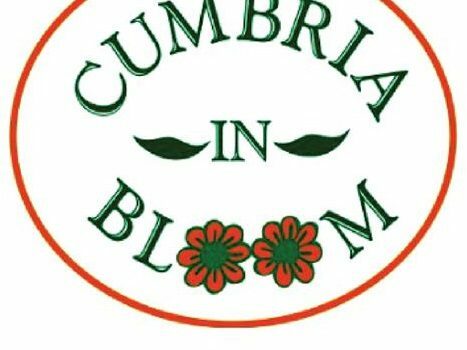 The Cumbria in Bloom Awards took place at the North Lakes Hotel in Penrith on Thursday 8 September 2016. A strong contingent from Silloth attended the Awards ceremony and were delighted with some brilliant results. 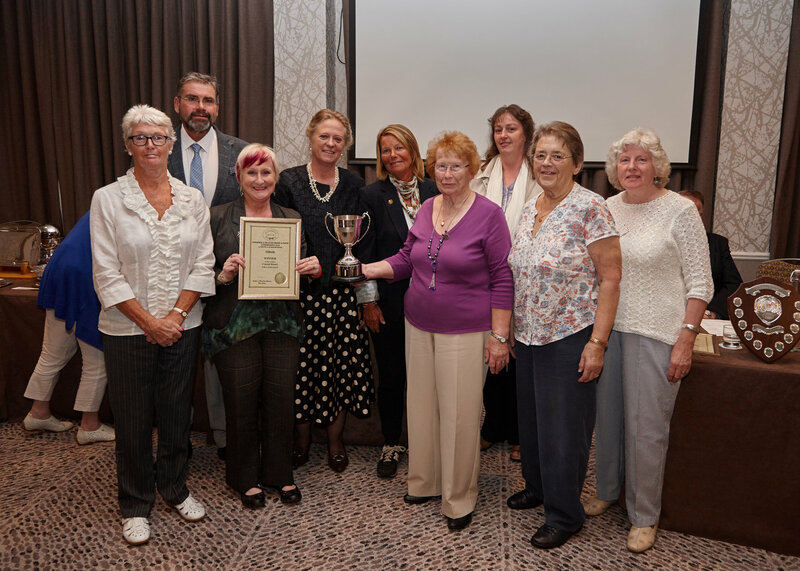 Silloth-on-Solway won the Cumbria in Bloom Coastal Resort Trophy for the third year running and achieved a Gold Award. Silloth also won the Amberol award for the Best Sustainable Development. 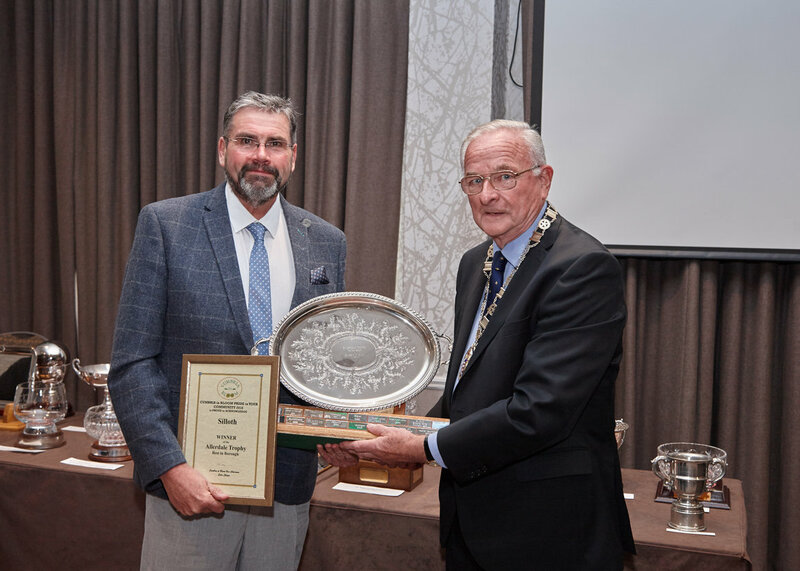 John Cook (below) receiving the Allerdale Trophy for the “Best in Borough”. Picture below of John Cook, Chris Graham and Vivian Russell receiving the Rickerby Ltd Trophy, as Best Overall Town and Urban Community. The Discovery Centre garden which is looked after by the Causewayhead WI ladies was runner up in the Special Category for the Continental Landscapes Trophy. The award was collected by Ann Harrison, Pat Bell and Jean Carr, members of the Causewayhead WI. 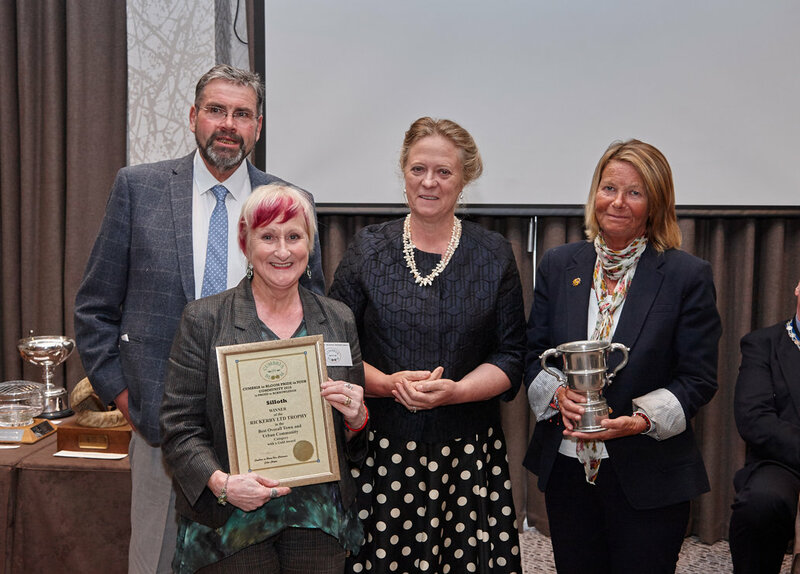 Silloth Golf Club was runner up for the Cumbria Tourism Rose Bowl awarded to Self-catering Establishments & Visitor Attractions. 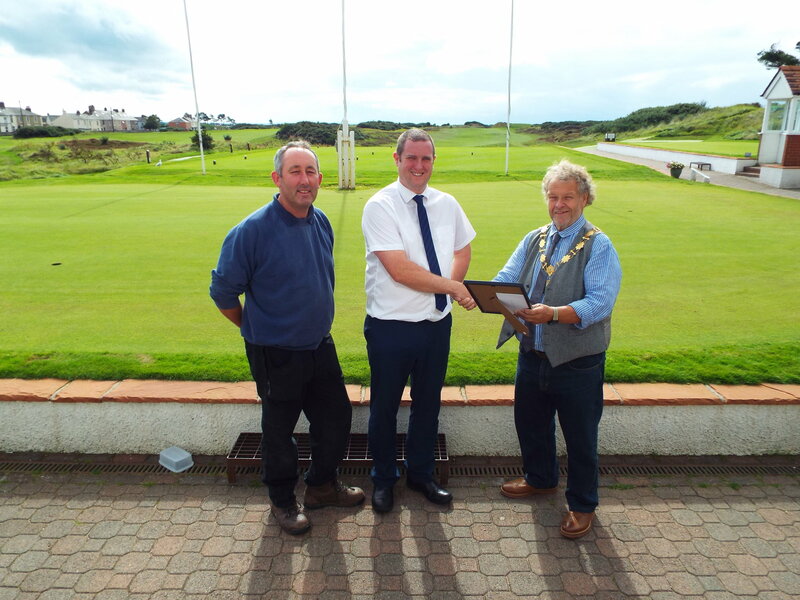 Below is a picture of Brian Story and Alan Oliver at the Golf Club receiving their award from the Mayor of Silloth, Tony Markley. 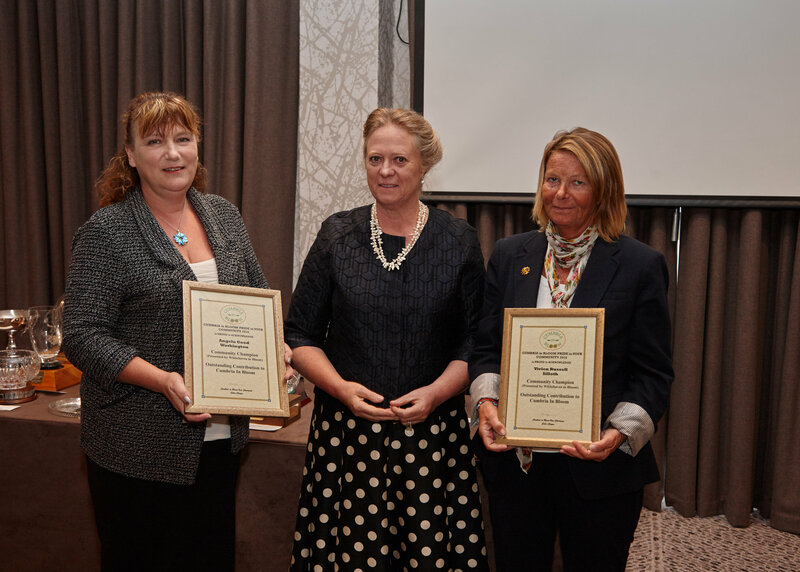 In addition, the Community Garden and the Heritage Rose & Bee Garden were individual winners of the Royal Horticultural Society ‘It’s Your Neighbourhood’ Awards, each gaining a Level 5 ‘Outstanding’ result. 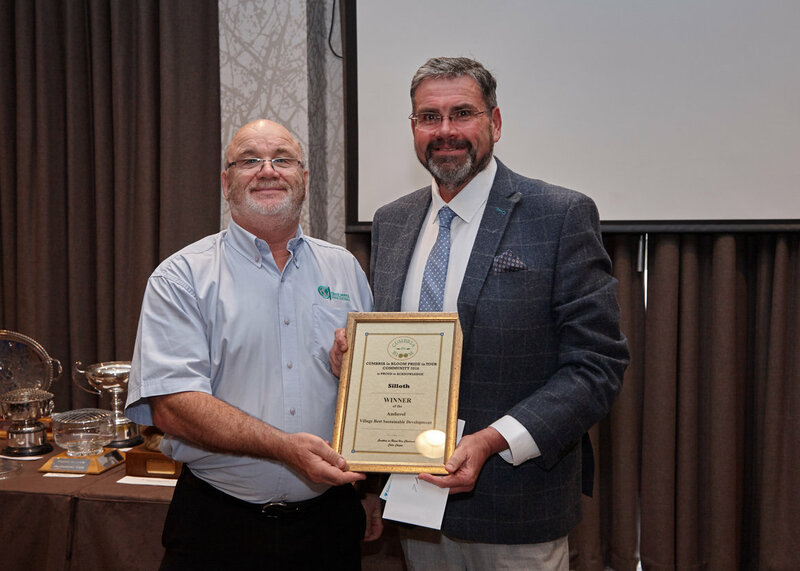 The Heritage Rose and Bee Garden was also winner of the Royal Horticultural Society ‘It’s Your Neighbourhood’ National Certificate of Distinction. Picture below of Vivian Russell receiving her Community Champion Award for her ‘Outstanding contribution to Cumbria in Bloom’, which acknowledges all the hours she has spent working on the Heritage Rose and Bee Garden, planting of the flower beds and planters on Criffel Street and supporting the various Silloth in Bloom projects this year. Picture below of representatives from Silloth, with some of the awards won by the town. Back row (left to right) – Wendy Jameson, Chris Graham, John Cook, Vivian Russell, Anne Winter. Front row (left to right) – Pat Bell, Ann Harrison, Jean Carr.